Comment: I would like to get an estimate to remove small rodent in roof. Comment: Would like estimate for termite prevention. Would like Oak Tree treated for Oak Mites. Comment: Mouse holes in lawn, especially around air conditioner pad. 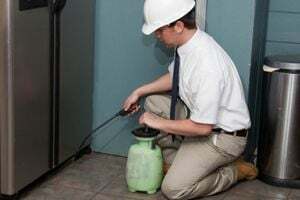 Patton Termite & Pest Control, Inc.
Wichita Pest Control Services are rated 4.66 out of 5 based on 215 reviews of 7 pros. Not Looking for Pest Control Contractors in Wichita, KS?